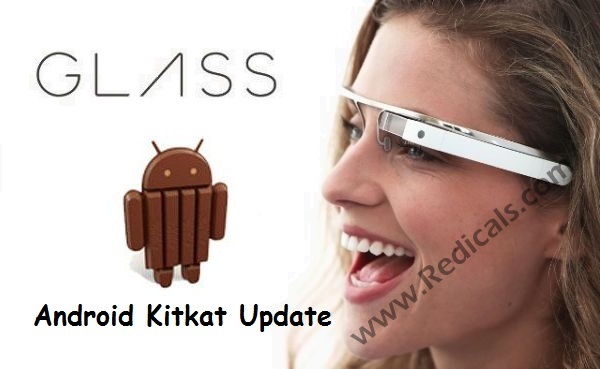 The newest version of Android Kitkat 4.4 for Google Glass, this will bring lot’s of Improvement and tweaks for Google Glass. One of the Improvement for Google glass is battery Life, makes Glass more reliable and also allow developer to develop application using Android software development kit. Google Glass update comes with Voice Command feature which allow you to tap or say “Ok Glass,” voice commands will be sorted all your difficulty and you can ask anything to it. Next Feature is Photo bundles which allow you to Scroll photos and videos through a timeline. Now you can also Photo replies in Hangouts, Just tap “Reply” and then take a photo and click on “Send” your Photo will be sent on Hangout. But Google don’t allow Video Call feature because more than 10 percent of Glass Explorers are taken by video calls. Google says “KitKat update for Glass will begin rolling out this week”. If any New features or Update is released by google, We Will Notify You Again So till Then Keep Updated With Us. If you enjoyed the content please share it with your friends and followers. If you are having any doubts please feel free to ask them by using the comments section.